The Recipe: Late-summer casual comfort food, a simple rice and black bean casserole, amped up with smoky flavors, smoked chicken plus special smoky seasonings. Makes enough for a crowd, freezes beautifully too. How to Smoke a Chicken. Here's the one and only way I know to smoke a chicken. It's super-easy albeit some times it costs you. And it can take a few days. Yes, "he" smokes the chickens, usually three or four since it's a several-hour process no matter how many. The first night, we invite family over to gorge on smoked chicken hot off the smoker. Smoky heaven, that dinner! Later that night, I throw a carcass or two into the stockpot with some water. A few hours later, the kitchen smells wonderful and there'll be a couple of quarts of chicken stock topped with chicken fat, what's called "schmaltz". And let me tell you, stock made from a smoked chicken has incredible flavor. 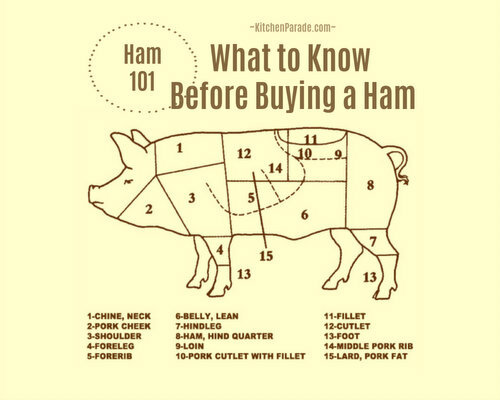 You do have to use it judiciously, because of its pronounced smokiness, same with the smoky schmaltz. Both really add to this easy, flexible casserole. No Smoked Chicken? Maybe Smoked Turkey Legs? Because I (ahem) am so good at smoking chicken, this casserole is easy to turn to whenever there's leftover smoked chicken. But once, just to see, I tried making it without all chicken-based smoky flavor. I had big hopes for Liquid Smoke but the results were disappointing, very so-so. I used only a half teaspoon Liquid Smoke to the stock used to cook the rice. Would more have made a difference? Maybe. You can't really buy a smoked chicken, at least in my world, but what you can find are smoked turkey legs. I think they'd work really well here! But really? I don't recommend this recipe unless you've got access to smoked chicken or turkey. Without the smoked chicken, it's good enough but definitely not special. Me? I like my food special, special enough, that is, to want to make it again. Oh my, that smoky flavor, so tantalizing! I up the smokiness for this Black Beans & Rice Skillet Casserole several ways. First the smoked chicken and its by-products. The smoked-chicken meat itself, light or dark meat, either one or both. Smoked-chicken chicken stock, made the day before. If you have just one smoked chicken, "pull" the meat from the carcass and refrigerate, then use the chicken bones to make my No-Big-Deal Homemade Chicken Stock. Smoked-chicken schmaltz, that's the chicken fat that rises to the top when the stock is chilled, buttery, smoky and wonderful. But then? Seasonings matter too. Smoked paprika, also called Spanish pimentòn, it's got this lovely, dusky, smoky flavor. Chipotle in adobo sauce, smokiness plus a small measure of heat, more info here about chipotle in adobo sauce. Cumin, my favorite savory-smoky spice. RICE Bring chicken stock and salt to a boil in a heavy saucepan. Rinse rice under running water through a fine-meshed strainer. Once the stock boils, stir in the rice and return to a boil. Reduce heat to maintain a slow simmer, cover and let cook, stirring occasionally, until liquid is absorbed; the rice won't be fully cooked, it will finish cooking later. Turn off the heat and set aside. VEGETABLES In a large, heavy skillet, heat the schmaltz until shimmery on medium heat. Stir in the onion, cumin and paprika to coat with fat. Add the poblano and mushrooms as they're prepped, stirring occasionally to sauté evenly. When the vegetables are nearly cooked, stir in the garlic, okra, corn and sun-dried tomato, then the chipotle and vinegar. Let cook for just one minute, then remove from the heat. COMBINE Off heat, stir in the rice, black beans and chicken. (Stop here, cover and refrigerate if making ahead of time.) Gently pour a cup of chicken stock over the rice, make sure to drizzle over the entire surface areal; if needed, add a little more, the liquid should come up about halfway through the mixture. The rice is partly cooked but continue to absorb more liquid, the stock keeps the casserole both moist and flavorful. COOK ON THE STOVETOP, covered, adjusting the heat to maintain a bare simmer, about 20 minutes, until very hot and the liquid mostly absorbed. If the rice absorbs all the liquid before the mixture gets fully hot or before you're ready to serve, add more, a quarter cup at a time. ~ OR ~ POP IT IN THE OVEN, covered, at 200F/100C for about 45 minutes, until hot and bubbly. Naturally, it'll take longer to heat up if it comes straight from the fridge, allow 60 to 90 minutes, you may need to add a little more stock as the casserole heats, about a quarter cup at a time. TO SERVE Bring this beauty right to the table, topped with a few leaves of oregano and avocado slices, with a small bowl of sour cream on the side. Dig in and savor! MAKE-AHEAD TIPS Make this casserole up to a day ahead of time. The stopping point is after combining the rice, vegetables, beans and chicken – stop here before adding the chicken stock, cover and refrigerate. Just before finishing, add the stock and proceed on the stove or in the oven. FREEZES WELL In addition, this casserole freezes really well. I don't mind a huge skilletful, I know it's a supper or two for another time! VARIATIONS I'm much smitten with the late-summer combination of mushrooms, corn and okra but other vegetables work too. In fall, I can imagine tiny cubes of butternut squash. I once did an Italian-style version with roasted red pepper, zucchini, yellow squash and chickpeas, so good! ALANNA's TIPS Who's tried the soft, fresh sun-dried tomatoes from Trader Joe's? Addictive! I find myself adding them a few bits at a time, a little color, a lot of umami. No sun-dried tomatoes? Roasted Roma Tomatoes would work, so would Slow-Roasted Tomatoes. I'd hoped that this casserole would develop a paella-like crusty layer of rice on the bottom of the skillet. It might, if I used more oil? Don't skip the cumin, it makes a world of difference! NUTRITION INFORMATION Per Cup: 147 Calories; 4g Tot Fat; 1g Sat Fat; 28mg Cholesterol; 468mg Sodium; 15g Carb; 3g Fiber; 2g Sugar; 13g Protein. 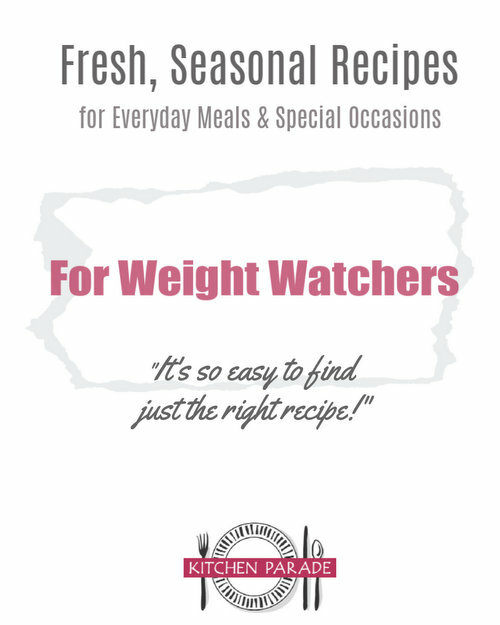 WEIGHT WATCHERS Old Points 3 & PointsPlus 4 & SmartPoints 4 & Freestyle 2 CALORIE COUNTERS 100-calorie serving = 2/3 cup (9g protein). Alanna, this looks like a ~fantastic~ use for some of the leftover smoked pork I have hanging around! And great to know it'll freeze well, too - I've been packing lunches lately for my guys and just invested in a bunch of pyrex single-serving containers - this will be perfect to tuck away in the freezer for later on. Thank you once again for another wonderfully approachable dish! Kris ~ Smoked pork!!! I hadn’t even considered that but you are so right! I’m so glad you like the combination, I am **totally** smitten and my two “meat and potatoes” guys really tuck in too.